I spent some quality time with my sewing machine this weekend after not having touched or even barely looked at it for a few weeks. This is one of the finished products. 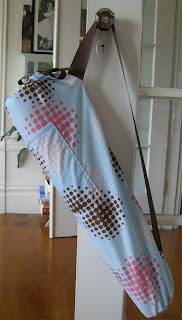 For some reason, I had some trouble making this yoga mat bag which is bizarre because I've made quite a few of these. I had to do and redo almost every stitch 2-3 times. In the end, it worked out and I'm pretty happy with the finished product. 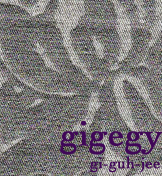 This one is not going to the shop since it is an order from a friend. She picked the mod fabric herself and I actually really like it. I only bought enough fabric to make her bag and I'm kinda wishing that I bought some extra to make other things.